It’s been 140 years since the city that became Bismarck, Edwinton, was founded with the establishment of Camp Hancock. A birthday party celebration will be held today from 6:30pm-8:00pm at Camp Hancock, which contains Bismarck’s oldest remaining building, to commemorate the occasion. Camp Hancock was first established as an infantry post and supply depot to support expansion of the North Pacific Railroad. Edwinton, as the city was originally called, named after Edwin Ferry Johnson, was renamed “Bismarck” in July 1873. The birthday celebration is free and open to the public. Camp Hancock is located on Main Avenue near 1st Street. 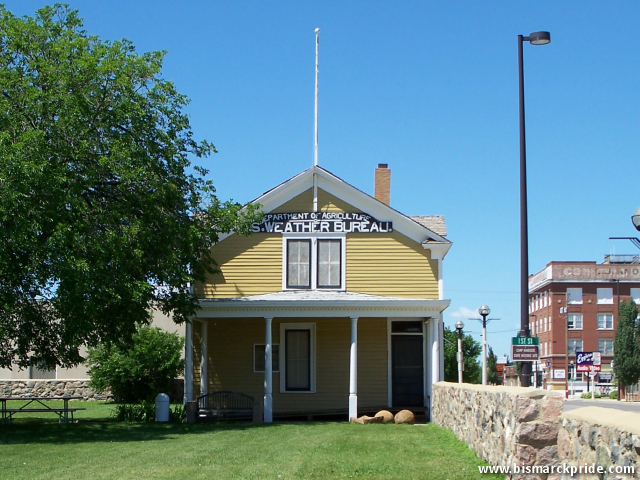 In addition to having Bismarck’s oldest building, the historical site also contains a recently restored vintage 1909 North Pacific Locomotive and the Bread of Life Church, which was originally built in 1881. Click here to learn more about Bismarck history.